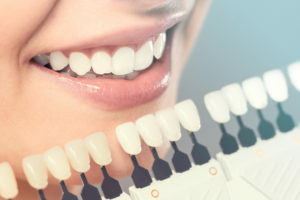 Cosmetic dentistry is the field of dentistry dedicated to making positive, aesthetically pleasing changes to your smile. Dr. Eastburn has gone through special training in several cosmetic dentistry treatments in order to serve his patients. First and foremost, Dr. Eastburn wants to make sure you have overall good oral health, with healthy teeth and gums. Once that is accomplished, the doctor will explore cosmetic dentistry options with you that can improve the look of your smile. Most cosmetic dentistry treatments are not covered by your dental insurance plan. The exception is orthodontics. Some, but not all, dental plans will pay a portion toward orthodontic treatment. Usually there is a lifetime cap in the $1000 range for plans that pay a portion for orthodontics. You will want to check with your insurance carrier for specifics. We offer financing options and payment plans to help you cover the cost of cosmetic dentistry treatments. Orthodontics not only straighten your teeth, but they give you a healthier smile. Crooked, crowded teeth can be hard to brush and can be more cavity-prone than straight teeth. And underbites and overbites can cause uneven teeth wearing and jaw pain. Most of the orthodontics treatments we provide in our office are geared toward adults, adolescents and teens, who want straight teeth fast, and don’t want the look of the metal braces and wires you see on a lot of adolescents. With that in mind, we offer several of the latest orthodontics treatments. The power of traditional braces but with clear brackets and tooth colored wires, Six Month Smiles braces are a perfect solution for adults, adolescents and teens who may be embarrassed about their crooked teeth. If you find yourself smiling with your lips closed, or covering your mouth when you laugh in an effort to hide your teeth, Six Month Smiles braces can change all that. Please note that Six Month Smiles braces will not correct a severe under-bite or overbite. FASTBRACES Technologies offers two product lines, the Classic and the Turbo. Available in traditional metal brackets as well as clear brackets, these braces work fast and are comfortable in your mouth. Depending on which product you choose, you could have straight teeth in under six months, or longer, if you go for the Classic. FASTBRACES are suitable for patients with severe crowding, under bite or overbite, crowding, spacing issues and high canines. ClearCorrect clear alligners straighten teeth without any brackets or wires. You can remove them before you eat, so no food gets trapped in brackets or wires. When your dentist provides them with a precise mold of your teeth, along with photos and x-rays, the ClearCorrect lab custom makes your alligners. As your teeth begin to straighten and move into position, you’ll get new alligners to continue applying customized pressure to the teeth you want to move. ClearCorrect alligners are best suited to patients who have mild to moderate crowding or minor spacing issues. Once your braces come off, make sure you wear your retainer as directed to keep your teeth in place and keep them from shifting. After all, you’ve made an investment in straighter teeth, so protect that investment! Eastburn Dental is proud to offer Glo Whitening from Glo Science. This chairside teeth whitening system is fast, affordable and provides dramatic results for our patients. The chair side treatment uses a prescription strength whitening gel that you can’t get in a take home kit or over the counter. The response from our patients is overwhelmingly positive. It’s fast, delivers brighter teeth (an average of five shades brighter) and best of all – this teeth whitening system does not cause sensitivity, like so many other teeth whitening products on the market. The Glo Pro chairside treatment can be followed up with a Glo Pro take home kit for touchups. Both use Guided Light Optics (GLO) technology. Lumineers are lightweight, ultra-thin and do not require aggressive treatment to your teeth, unlike traditional dental veneers. Dr. Eastburn is a Certified Lumineers Dentist serving the Mobile, Alabama area. Lumineers are perfect for people with chipped teeth, spacing issues, small or misshapen teeth and permanently stained teeth that can’t be helped by teeth whitening. You can generally get Lumineers in just two visits to the dentist. At your first visit, Dr. Eastburn will take photos, x-rays and an impression of your upper and lower teeth, then send all of that to the Lumineers lab. Typically, the second appointment is a couple of weeks later, where the doctor will place your Lumineers, ensure a good fit, and bond them to your teeth. In most cases, you don’t need extensive work on your teeth to place Lumineeers like you do with traditional dental veneers. That’s why Lumineers are the #1 patient-requested dental veneer in the world! Investing in your smile is investing in yourself. A brighter smile with straight teeth can boost your self-esteem, and can also cause others to view you in a more positive light. Call the Eastburn Dental office at 251-344-2126 to schedule a cosmetic dentistry consultation. There are a number of things we can do to improve your smile!